Leaders from 22 countries representing thousands of scientists released a statement Monday calling on political leaders to more aggressively combat climate change. 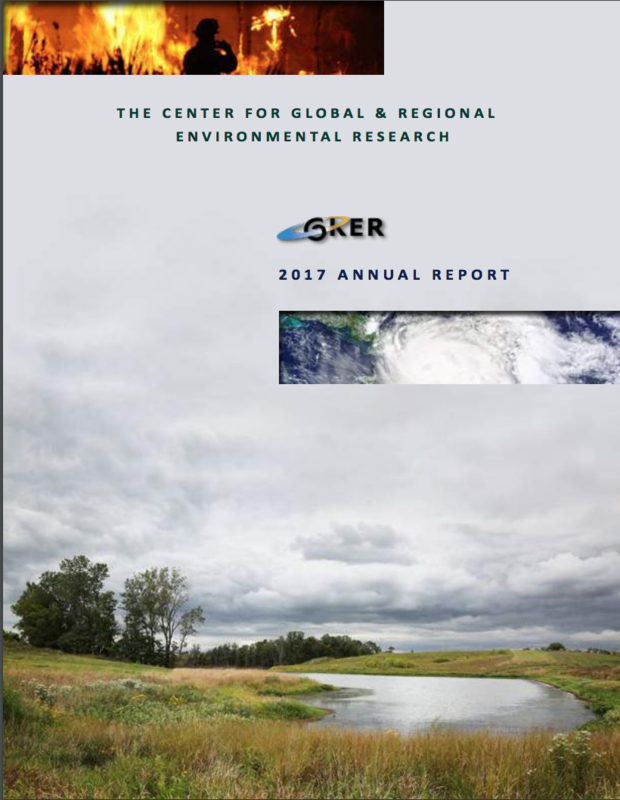 They point out that even if all of the 160 countries that ratified the Paris Climate Accord in 2015 met their greenhouse emission goals, global temperatures will still rise by 3 degree Celsius before 2100. Not only do the scientists call for political action on climate change, but they asked that it be informed by data. Scientist or career politician, commonwealth representative or U.S. congressperson, policy makers worldwide must find a way to achieve net-zero carbon emissions during the second half of this century in order to meet the Paris Climate Accord goal to keep temperatures 2 degrees Celsius below pre-industrial levels. A study recently published in the journal Science Advances found that even if global climate change mitigation goals are met, extreme weather events will still occur more frequently in the future. The United Nations Paris Climate Accord aims to keep global temperatures from increasing more than two degrees Celsius above pre-industrial levels. Even if the global community succeeds, human-induced climate change has already made extreme heatwaves, floods and droughts significantly more common. Unfortunately, scientists say that the existing emission-reduction pledges by the world’s nations are not enough to keep temperatures from rising above 2 degrees Celsius. The study finds that if temperatures were to rise to 3 degrees hotter than preindustrial levels, North America would see at least a 300 percent increase in extreme weather events, for example. The study found that extreme heat records are the most likely to be affected by unabated climate change. Scientists focused primarily on North America, Western Europe and East Asia. They found that hotter-than-ever night time temperatures have been occurring much more frequently in recent years. If the climate warms to the 3 degree threshold, extreme heat events are expected to happen five times more frequently in half of Europe and at least three times more frequently in parts of Eastern Asia. An interactive map created by researchers at Carbon Brief allows user to see which past extreme weather events can were cause by anthropogenic climate change and which were not. There was standing room only at the Iowa City Climate Action Community Meeting on Thursday night. 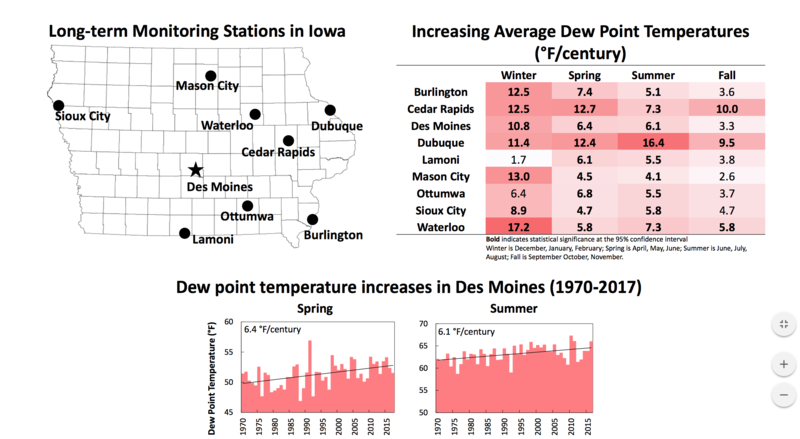 The community meeting was organized by the city of Iowa City’s Climate Action Steering Committee, which was formed in June 2017 following President Trumps’ announcement that the U.S. would withdrawal from the Paris Climate Agreement. Since then, city council and the steering committee have committed Iowa City to the same goals outlined by the Paris Climate Accord: community-wide greenhouse gas reduction goals of 26-28% by the year 2025 and 80% by 2050, where 2005 emissions levels serve as a baseline. Representatives from the environmental consulting firm Elevate Energy presented attendees with possible climate adaptation and mitigation strategies in five categories: energy, waste, transportation, adaptation, and other, at five stations around the Iowa City Public Library’s meeting room A. Residents were invited to visit each station and vote for those strategies they thought would be useful to Iowa City and those strategies they felt they could help to implement. To that end, the steering committee plans to send a city-wide survey by mail in December to residents that are unable to attend any of the initiative’s community meetings. In partnership with Elevate Energy, the steering committee will put together a concise report of community input and cost-benefit analysis that will inform the first draft of Iowa City’s climate action plan, due out in February. After a final community input meeting planned for April 26, the steering community will present their completed Climate Action and Adaptation Plan to city council in May 2018.